As we dive into what is quickly becoming known as the Halloween season (read, October), I decided to kick off this year’s Fall and Film series with two films that bookend my Halloween and horror movie experience. As mentioned in the previous post, I will give a brief overview of each film and discuss its implications from my own point of view, hopefully adding a dimension of interest instead of simply providing a straightforward review. 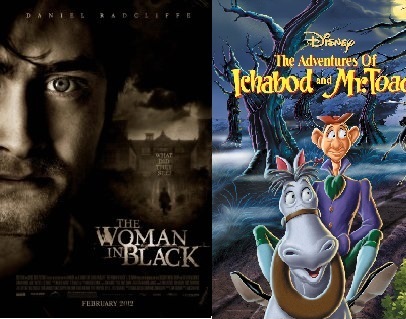 For our first week, let us look at films from the Animation and Haunted House genres. For my animation category this year, I chose Disney’s The Adventure of Ichabod, from the double feature known as The Adventures of Ichabod and Mr. Toad. For horror fans and the public alike, this is the familiar story adapted from Washington Irving’s “The Legend of Sleepy Hollow.” I will get to my personal connection to this piece in a minute, but first a word about the film itself. Also, although the Mr. Toad story is also wonderful, I will leave it out as I want to concentrate on the horror aspects. We are familiar with the story of Ichabod. He is the lanky, geeky schoolmaster who one night, after a party of wooing the daughter of a rich local while also drawing the ire of her would be suitor, faces down the ghostly Headless Horseman. The story has been adapted to the stage, in various film versions (honestly, I enjoy Tim Burton’s take on the material) and is currently a television series. Although not a feature-length animated film, this adaptation has remained in the public eye and continues to be a popular work from Disney. The narration by Bing Crosby combined with the memorable songs and excellent animation makes this a Halloween classic. 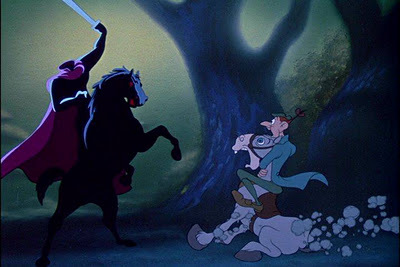 Speaking of animation, the scenes featuring the Headless Horseman himself are spectacular, especially his initial reveal as Ichabod attempts to make his way home. Two features of this short film stick out to me. First, the main character, our supposed protagonist, Ichabod, honestly is not completely sympathetic. He does fall in love with Katrina, but a large portion of his motivation is driven by the sizable inheritance he would receive from her father. Secondly, the human antagonist, Brom Bones, is not particularly hostile in this depiction. He is full of himself and despises Ichabod, but he is not necessarily a “bad guy.” Secondly, from a technical standpoint, this film is amazing because it is essentially a silent film. The characters do not talk, rather Bing Crosby provides the narration and the signing voice. His contributions replace the traditional intertitle cards found in silent movies. This allows the audience to focus on the animation and expressions of the characters, as well as the chase scene that functions as the film’s climax. 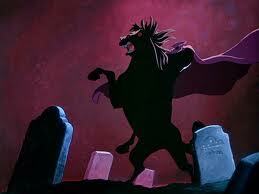 Of course, one cannot forget the maniacal laughter of the Headless Horseman either. This movie is quite high on the nostalgia factor for me as it is one of the first Halloween related films, animated or live-action, that I recall seeing as a kid. I was probably six or seven the first time I saw it and it scared me senseless. Couple that with the fact that I saw it on or near Halloween, and it becomes amazing that I slept at all during that time. This is also right around the time I discovered the Castlevania games on the Nintendo, so make of that what you will. Despite these feelings of fear, I also found something endearing about this cartoon that has stuck with me. Even at that young age, I realized a film could be both frightening and entertaining, cementing in me a love of scary stories. This is necessary watch for Halloween! Frequent readers of my movie posts will note that I enjoy talking about movies of the past. See my recent post regarding Citizen Kane and Vertigo. For this year’s ghost story movie, which let us face it, is a difficult category to narrow down for the Halloween season, I decided to go with a recent film. The Woman in Black tells the story of a young early 20th century lawyer from London who travels to a remote village to settle the estate of a deceased woman. The lawyer is caught up in a supernatural mystery and must do battle with the ghost of a woman who has it out for the children in the village. I honestly had mixed feelings about this film upon viewing, but overall, I must say that it is a recommendation for the Halloween season. First, let me discuss the negatives. 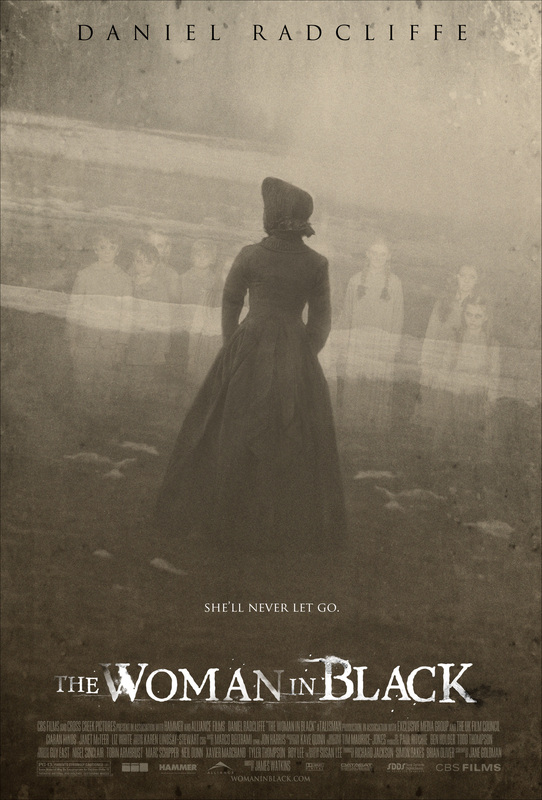 Now, despite my little rant about the worn out tropes of horror films, I still find The Woman in Black worth one’s time. The cinematography is beautiful, Daniel Radcliff’s performance is excellent, and there are some genuinely creepy moments that redeem the film. I found the film to be a 50/50 mix, for every moment that caused me to roll my eyes at something worn out, I was impressed by something that created an excellent atmosphere. For me, the greatest strength of this movie is its ability to create an ominous and creepy atmosphere through great visuals, a slow pacing, and usage of light and shadow that, for me, harkened back to classic horror films of the mid and early 20th century. In addition, though I will not spoil it here, the ending honestly caught me a little off guard. If you have seen the movie, you know what I mean. So in terms of the personal connection, I do not really have one for this film, other than the fact that it is a recent horror film that does an excellent job of creating atmosphere. Well, that is it for week one of the second Fall and Film series. I think these two ghostly stories are a great way to kick off the transition into October. What are your thoughts? Is the Disney cartoon overrated and a relic or do you find it still charming and creepy today? Is The Woman in Black an excellent example of artisanship in horror film making, or another bland and tired offering? Sound off below and thank you for reading! Please join me again for next week’s offerings. This entry was posted in Movies and tagged Bing Crosby, Cinemasins, classic horror films, Disney, Halloween, Halloween Movies, Halloween season, Headless Horseman, Horror Films, horror movie, Horror Movies, The Adventures of Ichabod and Mr. Toad, The Legend of Sleepy Hollow, The Woman in Black. Bookmark the permalink. That’s right! It was called The Headless Horseman back then. I had forgotten that! Excellent reminiscing by the way! The older Disney stuff certainly did not hold back in the shock and scare department. I also agree that the build up to the horseman while Ichabod is in the woods… his horse cracked me up. Such a great short film. Thank you for sharing!